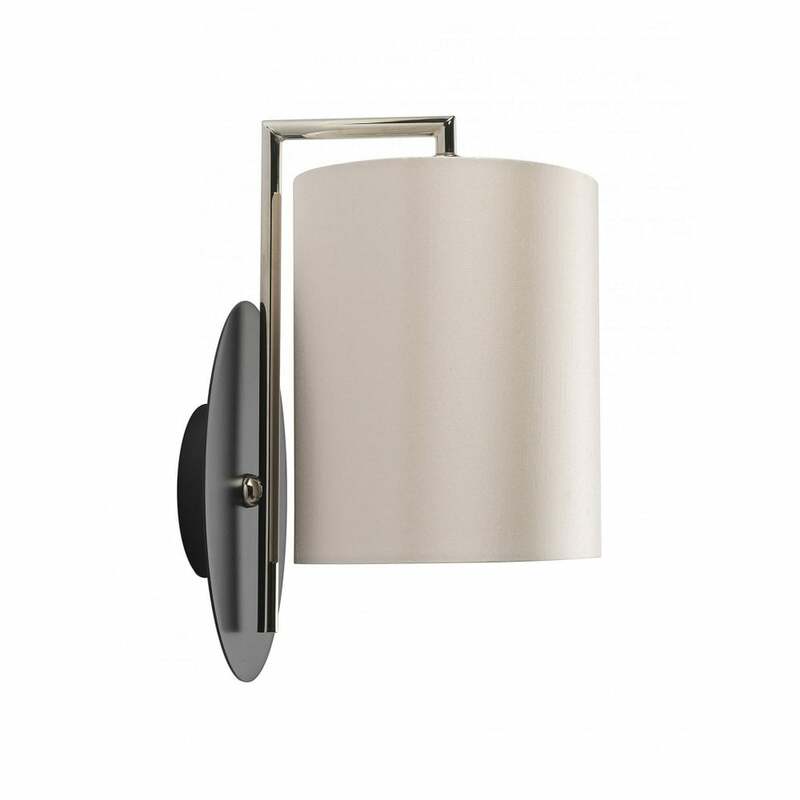 Elegant and sophisticated, the Decca Wall Light by Heathfield & Co is crafted from polished nickel and black satin. This minimal yet considered design features a rounded backplate and angular stem. The crisp lines meet an exquisite, satin shade that softens the overall look and brings a touch of luxury to the design. Available in a choice of beautiful hues, make an enquiry to discuss shade options. Decca range also includes a table lamp, floor lamp and wall light. Priced for 08" Bubble Oval shade with silk outer and white pvc lining. Other options available.